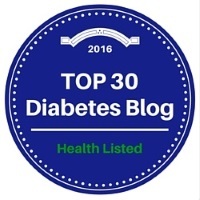 I recently got an email from a teenage girl who was diagnosed with type 2 diabetes. Yes, type 2 diabetes is different then type 1 diabetes, but it is still diabetes and we all do have to deal with a lot of the same issues. Well, instead of just sharing it with her, I thought it would be better to share it with all of my diabetic friends, significant others and people just learning about what diabetes really is. First off, I want to make it clear that I do not really carry a “diabetes bag.” I am lucky enough to be a female and have a purse to carry around all of my things… an extra large purse! 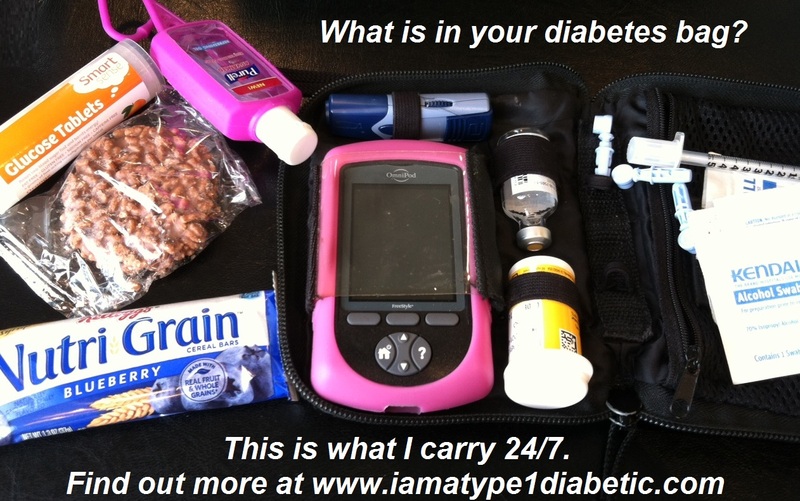 I want you to share what you have inside of your diabetes bag. What else would be a good idea to carry? helpful article it is. thank you for sharing . Grass Diabetes presented genetic risk Assessment tool That helps in calculating Genetic Risk of Diabetes and provides the report gives you the age at which you may get Diabetes and also suggest the measures by which you can postpone or prevent it. You cannot prevent or post pone type 1 diabetes.